This RangeMax™ Dual Band Wireless-N Gigabit Router offers shared access to an external USB storage device (ReadyShare™) and ReadyDLNA— for streaming videos, photos, and music to a wide range of networked media players. While the router performs well, the USB storage device sharing is not flawless. It is recommended not to share too many files and, if possible to disable the media server. Check also the articles on MyOpenRouter.com (Downloads are here). 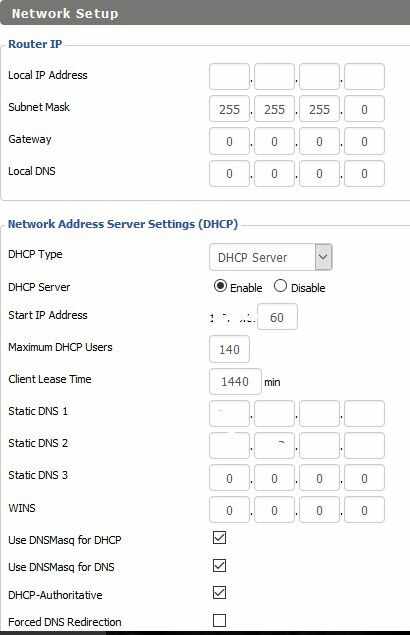 These are the steps you may follow to migrate this WNDR3700 V1 model to a dd-wrt firmware. Prepare for a roll-back and make a backup of your current (Netgear) firmware version and configuration. 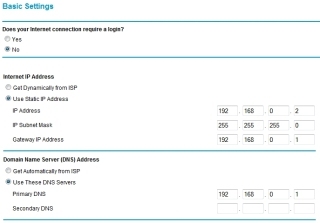 Keep note of the particular settings, like SSID, wireless security settings and router IP addresses. All your current settings will be lost. Download from the dd-wrt.com site a copy of the firmware for first time installation. Look for version 07-01-2016-r30082 and select the file wndr3700-factory.img from the netgear-wndr3700 directory. 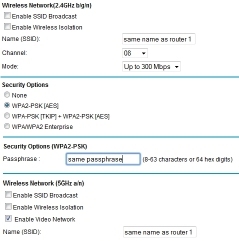 Connect your workstation to the router with an Ethernet cable (wired) and check if the connection is stable (disable your workstation wifi if appropriate). Launch a web browser (I used Firefox 48.x) and logon to the router. Select (in Advanced; Administration) the Firmware Update option. Locate and highlight the wndr3700-factory.img file on your workstation and click Open > Upload. If you get a warning about installing an (older) version, you may ignore it and proceed. Be patient and do not interrupt the process. Keep your browser open and keep an eye on the router leds. The process will take several minutes. The router will reboot after the firmware is uploaded (wait at least 1 minute after 100% is reached). The lights should flash, and eventually the status light should go solid green. Check the Router Status page to confirm whether the new firmware is uploaded: open http://192.168.1.1 in your browser, and if a DD-WRT screen appears, the upgrade is complete and successful. If this is not the case, troubleshoot first your workstation’s IP address and if odds are against you, read the recovery instructions. The next step is to restore your particular settings like router name, SSID, wireless security, LAN IP Subnet(s), DNS, etc. It is recommended to make intermediate copies of your configuration (go to the Administration tab and select Backup). Check my post for VPN Clients use. There are several ways to extend your wireless coverage at home. These are the onces that did the job for me. The easiest way was to use the Netgear EX6100 – AC750 WiFi Range Extender. 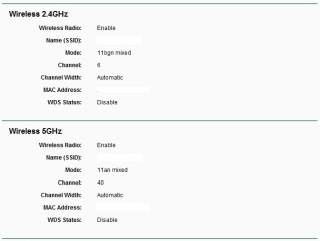 Important notice: use different Channels for each router. Step 2: Placing the Router Into Recovery ModeStart by turning off the router using the power button on the back of the device. Now, using the small object of your choice, press and hold the “Restore Factory Settings”, also known as the Reset button located on the bottom of the router (there is a red ring around it). While holding the rest button, turn the router back on. Continue to hold the reset button for approximately 45 seconds then release it. ** NOTE: Before you release the reset button, just be sure the power LED light on the router is flashing. If it isn’t, continue to hold it for about another 15 seconds until it is flashing. If you are using Windows Vista or Windows 7, you will need to enable the TFTP client. To do this, navigate to: “Start” -> “Control Panel” -> “Programs” -> “Programs and Features” -> “Turn Windows features on or off” (left side). From there, scroll down until you spot “TFTP Client”. Check the box if it isnt already and click “OK”. Exit the control panel. tftp -i 192.168.1.1 put WNDR3700-V1.0.4.68NA.img** NOTE: Be sure to use the appropriate name of the file you are trying to flash. It may be a later version then the one I used as an example. Step 5: The Waiting GameThis would be the perfect time to go grab a drink or hit the washroom. You need to be patient. Do not turn off, restart, unplug cables or otherwise interact with your router. It may take a little while; this is normal! Watch the power LED light on the front of the router. It should remain orange throughout the process. Once it is complete, it will turn green. At this point you may proceed to point your browser to “192.168.1.1” and continue to setup your router. Categories: support. Tags: DD-WRT, netgear, router, vpn. 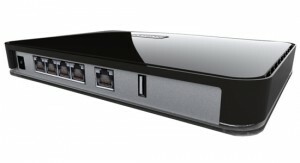 The USR5461 802.11g Wireless MAXg broadband router is good value for money and works fine with Windows XP, Vista and 7. The print server is only supported for Windows PCs over the TCP/IP protocol (no Netbios nor IPX/SPX support). 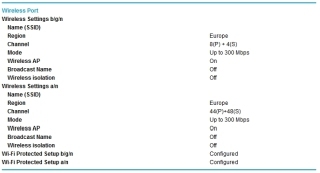 a 10/100 Base-T switch and 802.11g Wireless MAXg LAN connections. Latest Firmware: 3.93.35.0.8 (Oct 25 2006). Instructions to use an USB attached printer are published on the US Robotics site. Posted by bioss at 12:33 am on August 15th, 2009. The US Robotics 8000-3 Broadband router is good value for money and works fine with PC and MAC. The print server is only supported for Windows PCs over the TCP/IP protocol (no Netbios nor IPX/SPX support). a 10/100 Base-T switch for up to four LAN connections. Important note: Windows users need to install the proprietary USR print driver. Posted by bioss at 12:23 am on August 15th, 2009.